Academic activities at the Novena University, Ogume, Delta State, have been suspended following the destruction of school property by protesting undergraduates of the institution over the death of a female student. The victim, identified simply as Kelechi, died in a road accident on her way to withdraw money from an ATM in a bank in Abraka. The accident, which reportedly occurred on the Abraka-Obiaruku/Amai Road on Tuesday, involved a tricycle and a truck loaded with bamboo sticks. 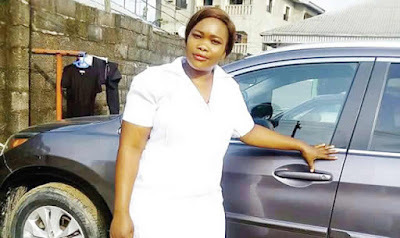 It was gathered that Kelechi, a 300-level student of Public and Community Health Department, was travelling with another female student when she was pierced in the neck by one of the sticks when the accident happened. She was reportedly rushed to the Novena University Clinic and Obiaruku General Hospital for medical attention but medical doctors on duties said the situation was beyond what they could handle. She was about to be transferred to the Delta State University Teaching Hospital when she gave up the ghost. Punch learnt that the only bank on the school premises had not been opened since the beginning of the semester, while the bank ATMs had also remained shut until the incident. A student of the institution, who spoke on condition of anonymity, told our correspondent that it was not the first time students would be involved in an auto crash while going to make withdrawals in the bank at Abraka, another university community which covered a distance drive of over one hour from their school. It was learnt that the students had complained about the situation to the school authorities without the issue being resolved. The student said, “The girl was a 300-level PCH student. She was going to Abraka to withdraw money when the accident happened. She died at the General Hospital, Obiaruku, where she was rushed to after our school clinic said they could not handle her situation. However, a lecturer at the institution, who confirmed the development to Punch, said the school was on Wednesday shut following protests by the students who destroyed facilities belonging to the bank and the university. The university management also confirmed the suspension of academic activities in a memo addressed to students on Wednesday. The memo directed students to immediately vacate the university premises.